Typically, it is a literary travesty to reveal the end of a book to those who have not read it. In this case, however, I think it is justified. Readers seeing the words “INTELLIGENT DESIGN,” on a book are likely to mistake its meaning and importance. Ironically (and unfortunately) the term has become toxic, in part because of some Christian Fundamentalists who like to use it as a euphemism for God in an attempt to sneak Him in the backdoor of public schools. The term has also been obfuscated by skeptical, secular biologists who distrust all visions but their own. Modern scientists who are devout Darwinists can be just as guilty of narrow-mindedness as some literal interpreters of the Old Testament. Neither side of the evolution debate can withstand a word-for-word dissection. Galileo was aware of this when he properly suggested that the Bible includes many metaphors that are obtuse and difficult to comprehend. One of them is the Earth being created in 6, 24-hour days. This is problematic with the sun not being created until the fourth day. Another involves the procreation of Adam and Eve’s grandchildren, without some kind of “sinful,” incestuous behavior. Furthermore, he conceded that his theory could not explain the origin of life, the emergence of flowering plants, the emergence of the human brain and the role of spirituality in human beings. Approximately 150 years later, Thomas Jefferson agreed with Newton and thought that there was scientific evidence for design in nature. In 1823, he insisted so in a letter to John Adams: “I hold (without appeal to revelation) that when we take a view of the Universe, in its parts general or particular, it is impossible for the human mind not to perceive and feel a conviction of design, consummate skill, and indefinite power in every atom of its composition.” As a classic renaissance man, Jefferson was a brilliant scholar, skilled in both letters and science. As one of the most gifted “founding fathers,” he was a major contributor in the writing of the Declaration of Independence and US constitution. He was a strong supporter of the laws that separate church and state, however, he was also an advocate that; “all men are endowed by their Creator with certain unalienable Rights.” These rights include freedom of thought and expression. 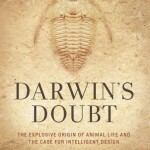 “Darwin’s Doubt,” should be required reading for all college/university biology majors. Furthermore, all college/university biology professors, pastors, priests and rabbis should read it as well. Of course they are free to take issue with any of Meyer’s positions, however, if they can temporarily set aside their petty prejudices, they may discover that more questions than answers remain in the evolution debate. When “Intelligent Design,” “creation” and “evolution” are all presented to students as the mysteries that they are, they neither favor nor disfavor any religion and therefore do not violate the laws of separation of church and state. 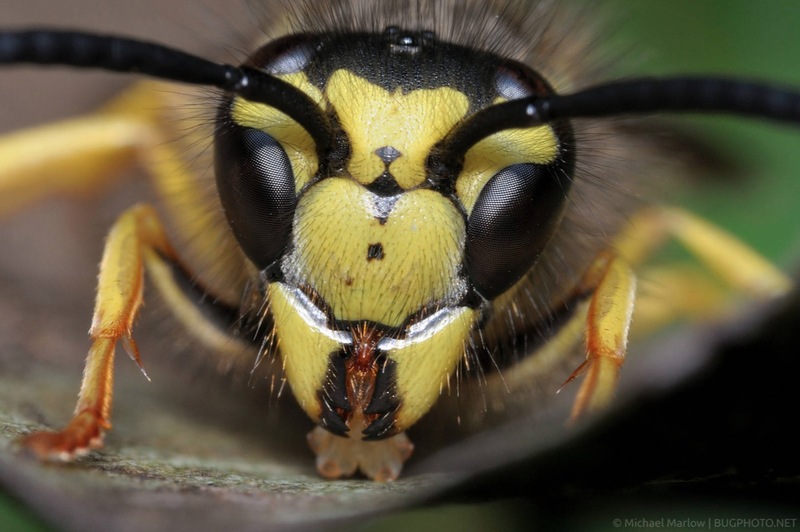 Yellow Jackets and Soulless Evolution? In the mid-fifties, a team of scientists from Cornell University filled a glass globe with ammonia gas, zapped it with a simulated lightning bolt, and created some simple amino acids. They boldly proclaimed that they were on the verge of proving how life was created. Rattlesnakes are occasional visitors to our property and so when I heard a buzzing sound on our back porch, I approached cautiously. Instead of a snake, however, I found a small marble-sized ball, whirling wildly and lurching out of control. I had never seen anything like it, but guessed what it was. Two of our grandchildren were working nearby on art projects and I called them to witness the drama. Their collective question was, “What is it?” I responded that I wasn’t sure, but I suspected that we were about to find out. A minute or so later, the whirling stopped and we could clearly see two yellow jackets viciously attacking each other. 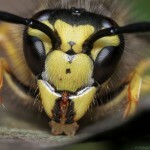 Yellow jackets are capable of both biting and stinging multiple times and this is exactly what these two were up to. In a few moments, however, the buzzing ceased. There was an obvious winner and loser. The winner proceeded to bite the losers head off, pick up the headless body and take flight. The corpse weighed almost as much as the victor and so she struggled a bit to gain altitude before zipping back to her underground nest to feed the others. The little death-drama left all of us stunned. At ages 6 and 9, the kids were not quite ready to process the utter brutality of the event. I had long known that honey bees vigorously defend their hives (and beekeeper’s boxes) either killing or driving away alien visitors, however, this fight-to-death encounter was over a bit of cat food!!! What the bees were doing is known as exerting “territorial imperative.” We don’t know what bees know, but we do know that in the mysterious world known as instinct, the bees were programmed to defend the foraging area necessary to keep their respective nests alive. There was no right or wrong, good or evil, or moral parameters to observe. It involves Darwin’s law of survival of the fittest and it is behavior like this that deeply troubled the famous naturalist. He was not alone. Their behavior deeply troubled my grandchildren too. 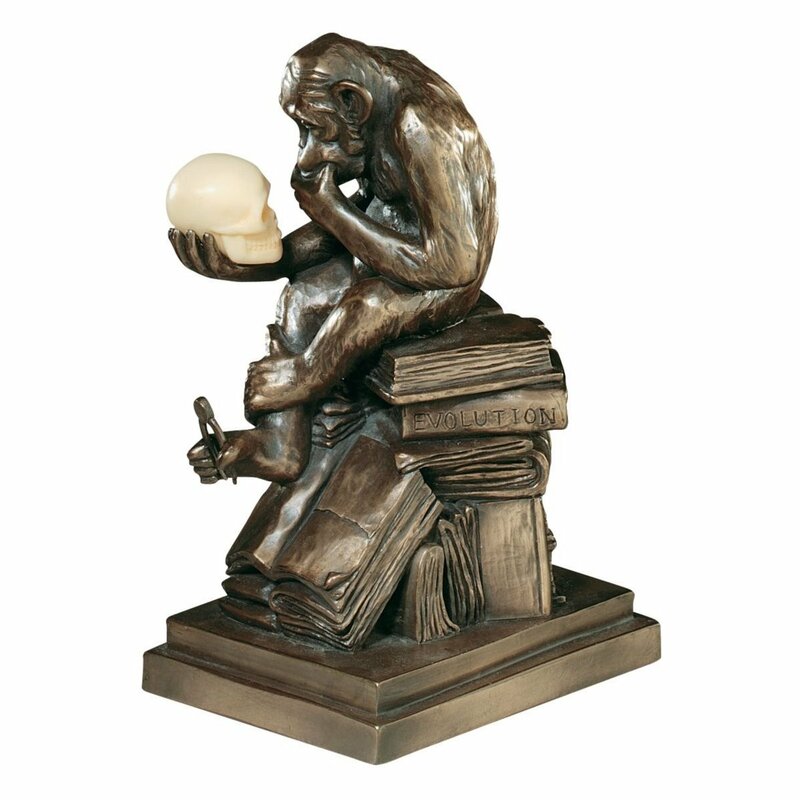 I suspect that, although millions of people profess to believe in “Darwinism,” only a small percentage of them have thoroughly studied his life and work. It is tragic and unconscionable that many “scientists” have twisted his work to match their personal myopic, soulless view. 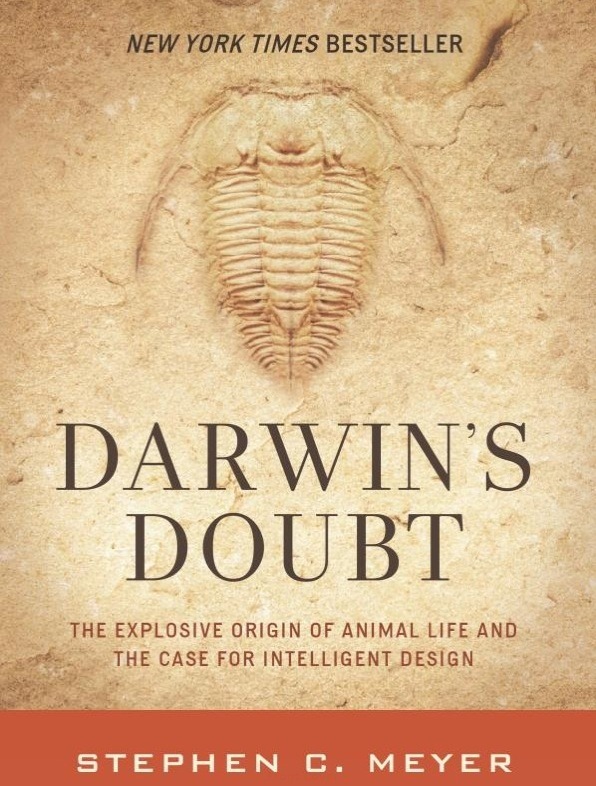 Darwin not only clearly admitted the shortcomings of his theory, he was deeply disturbed that “survival of the fittest” often involved death, destruction and a “dripping-in-blood” process. In a profound and stunning irony, Darwin wondered; what was God’s role in all of this? It is a question that every human being has the privilege of answering.